We met Al through his son Alan Kennedy of Project Advocates, who has been leading the Phase Two project on the No More Empty Pots Food Hub renovation. 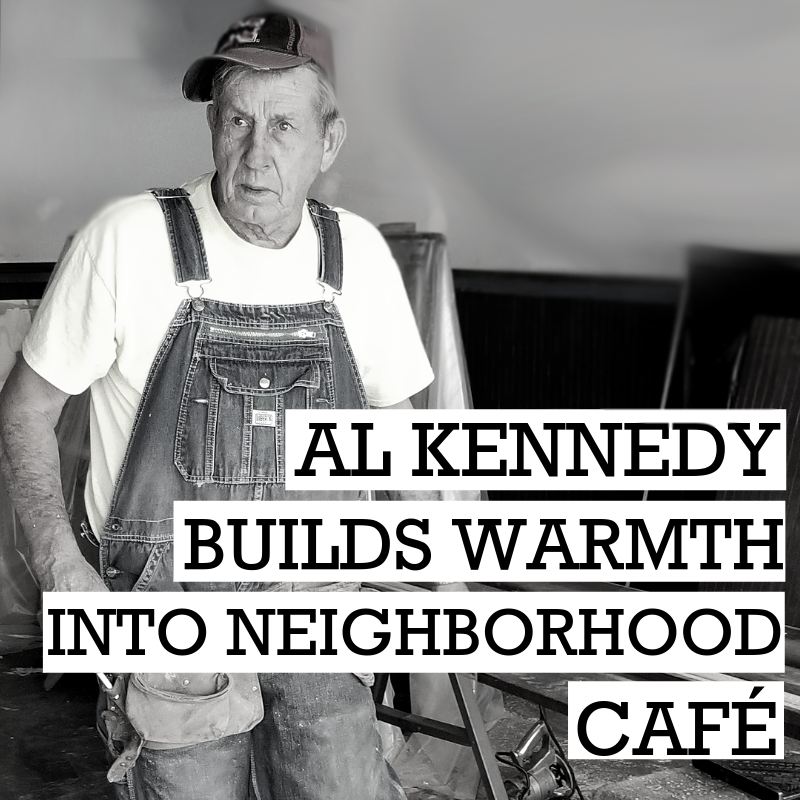 Having just celebrated his seventy-fifth birthday, retired carpenter Al spent several days lending carpentry skills to the Cups Café at Little Italy remodeling project. Making use of the existing wood trim, he collaborated with the project team to add wood paneling and additional counter tops, creating a warm and inviting space. A skilled hand, with plenty of jokes to share, Al was a huge part of making Cups Café at Little Italy a beautiful space to enjoy a cappuccino, pastry, and lunch. Al’s work rings true to our belief that you can “Hold the community in your hands.” By sharing what he has spent a lifetime learning and doing, Al demonstrated how each of us gives of ourselves to make our community better. We believe that each of us has unique gifts. Working together we creates spaces where we support each other to live well and dream vividly. At 75, Al continues to build community with precision and strength. Are you or someone you know a senior with skills and talents eager to engage in meaningful work? We want to hear your stories and connect to projects that welcome your contributions.